Savor the rich and super sweet natures of Fig flavor. This distinctive flavor delivers a fresh, sweet and superior profile in your treats. 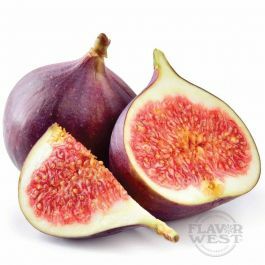 Type: Fig Water Soluble Flavoring. Ingredients: Natural and artificial flavoring and propylene glycol. USP Kosher Grade Flavoring. Usage Rate:15-20% for E-use. Flavor Suitability: Drinks, beverages, ice cream, sandwich, candies, baking treats and more. Specific Gravity: 1.03 No Refunds on Flavoring.